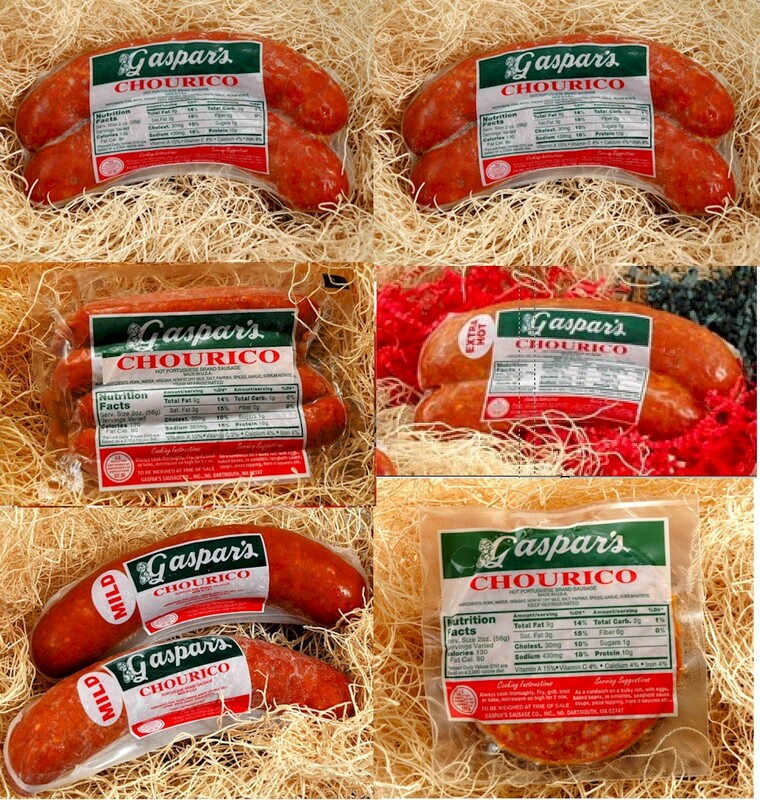 Now is the perfect time to order Gasper's chourico for the cookout, party, or any occasion. We have put together an INTERNET ONLY special to make ordering easy and take the guesswork out of ordering if you're trying our products for the first time. The GASPAR'S CHOURICO LOVERS GIFT PACK includes a combination of 6 pounds (approximate weight) of mouthwatering Gaspar's chourico favorites. You will receive 2-lbs of regular chourico, 1-lb of X-Hot Chourico, 1-lb of Mild Chourico, 1- lb of Chourico Slices, and 1-lb of Chourico Franks.